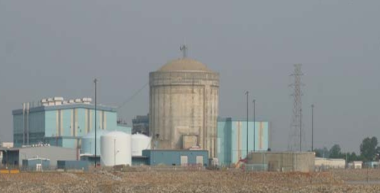 Voinovich wrote that federal regulators expected “18 more applications within the next two years for a total of more than 30 new reactors.” Now, over nine years later, there have been just two applications for new U.S. nuclear power-plants–one in Georgia and one in South Carolina, each with two reactors. One of the new projects has recently been shuttered. It is not clear whether it will ever be revived. The other project is effectively on death watch. Promises: The key promises for a “nuclear renaissance” were to combine so-called “passive safety” with standard designs and single-step permitting–the major features of “third generation” nuclear reactors claimed to yield improved reliability and much lower costs. By the late 1990s, enthusiasts were enjoying great sport, projecting ever lower costs based on speculation about economies of scale. In order to exhibit the lowest possible amounts, promoters touted so-called “overnight” costs–omitting interest, infrastructure, land and site preparation. “Overnight” estimates ranged as low as about $1 a watt, although some plants from the 1980s had cost around $4 a watt even before factoring inflation. Starting in the mid-1990s, many early promoters were academics. None had much practical work experience designing, building, operating or maintaining a nuclear power-plant. Glory days of a “nuclear renaissance” prevailed around 1997 through 2007, when promises attracted growing attention and realities had yet to emerge. Afterward both everyday and episodic factors intervened. The rubber was to meet the road when equipment builders proposed prices and potential utility customers had to decide whether or not they could afford the tabs. While the Clinton and the Walker Bush administrations rarely encouraged nuclear power, the Obama administration, guided by former Secretaries of Energy Steven Chu and Ernest Moniz, adopted advances in nuclear power as a major feature of climate action programs. The Obama administration authorized subsidies through federal loan guarantees–promising safe operation, almost unlimited energy and hardly any greenhouse-gas emissions. Progress and warnings: Westinghouse, now a division of Toshiba in Japan, became prime contractor for both new U.S. nuclear power-plants, using a proprietary design called AP-1000. It offers the advantages claimed by promoters of the “nuclear renaissance.” In addition, Westinghouse divided power-plants into “modules” that could be built off-site and assembled as needed. By building factories to produce the modules, Westinghouse maintained it would improve economies of scale. Collapse: “One doesn’t hear much about the nuclear renaissance these days,” wrote Paul Barrett for Bloomberg News in the fall of 2015. About a decade after its days in the sun, the enterprise now looks headed toward burial. Utilities have backed away from even considering new facilities they see as likely to remain unsound. Would-be visions of a grand future proved long on fervor but short on results. The once eager promoters have gone silent. The first shoe dropped when Westinghouse declared bankruptcy in early 2017. No other company was prepared to pick up the pieces from a proprietary design. Four months later, utilities that had contracted for the South Carolina plant issued a stop-work order, soon putting about 6,000 workers into layoffs. The South Carolina politicians who had allowed utilities to start charging customers before the plant was operating went into shock, pointing fingers and trying to evade blame. Problems with the new power plants were known inside companies building the plants. An audit of the South Carolina plant had been completed by Bechtel, one of the world’s largest construction companies, a year and a half before South Carolina utilities pulled the plug. Supposedly cost-saving modular designs had actually been major problems. Many interfaces between modules did not work as designed, leading to costly, on-site rework. A nuclear industry largely idle for over 20 years had lost a large, former corps of skilled workers. Training new workers took far more time and effort than planned. The new plant being built in Georgia has not yet been cancelled. Unlike the South Carolina plant, its owners accepted federal loan guarantees and have a financial cushion. However, efforts in Georgia are likely to be plagued by the same problems as those in South Carolina. They are probably also less than 25 percent complete, despite already costing more than the entire original construction budget. This entry was posted in Business, Environment, History on October 18, 2017 by Craig Bolon.